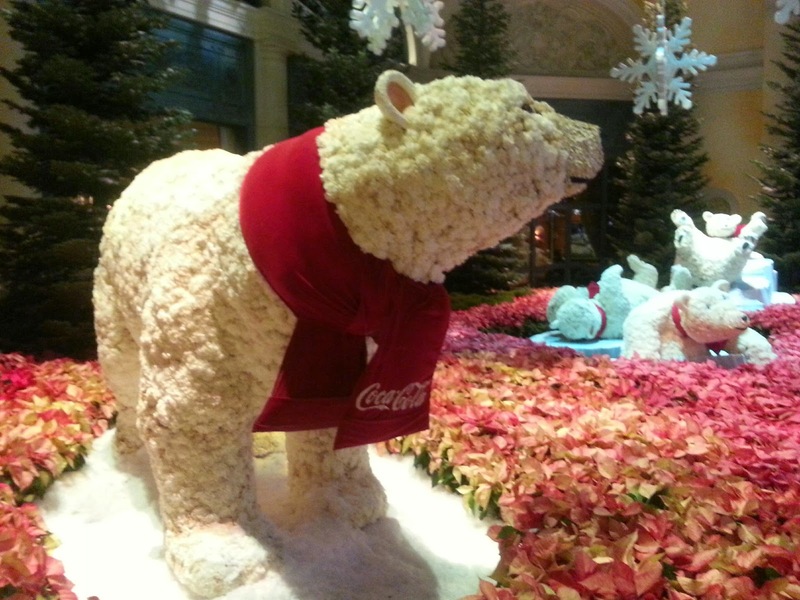 The Bellagio Conservatory & Botanical Gardens is partnering with Coca-Cola on Toys for Tots holiday gift drive. For each photo shared on social media with the #BellagioHoliday and #MakeSomeoneHappy hashtags, Coca-cola will donate one dollar to the charity campaign until the total amount reaches $50,000. 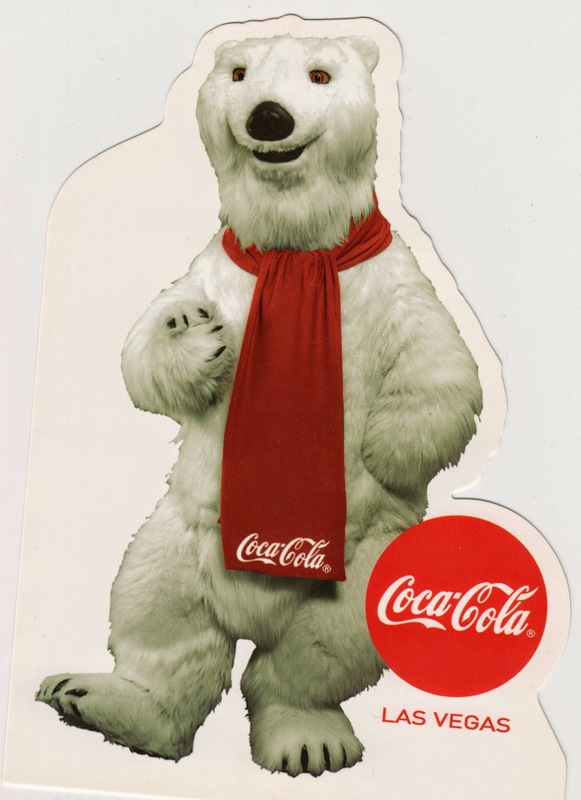 Postcard US-2615455 to Indiana was a polar bear shaped card bought at the Everything Coca-Cola Store on Las Vegas Boulevard.